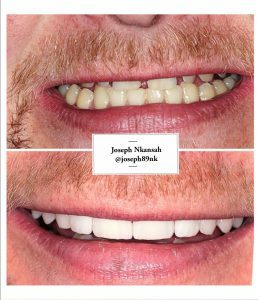 Our dentist, Joseph will be carrying out Free Smile Makeover Consultations ( usual cost of £35 ) during the months of March and April. If you are unhappy with the colour, shape, size or position of your teeth, composite bonding or veneers are a good way to improve this. Prices start from as little as £149 per tooth and could cost you less than £75 per month using our 0% finance payment plans. For anyone undergoing treatment an additional tooth whitening will be included. This will be available at £199 reduced from £345.